In what is supposed to be a cute scene but also kind of emphasises how broken their timeline is with George having to have the consitution explained to her last episode, we have 10k and Addie arguing over internet memes. They arrive in Heartland where the flour with the added brainess comes from and find a farm that looks fairly abandoned, with the farmhands, all talkers and all going very close to zombie. We also learn that this farm also provides most of Newmerica’s grain so it being abandoned is pretty much bad for everyone. He lives - because he’s very lucky. As Doc says, he’s a terrible doctor. He and Addie explain a little of their past, do some spiky club flirting. He also doesn’t have much of the additive that goes into making the Biscuits - but says it isn’t brains - they were lost in the attacks, the same attacks that also turned most of his farm hands into Talkers. Speaking of -Pandora and her assistant are lurking round causing trouble, as they do. 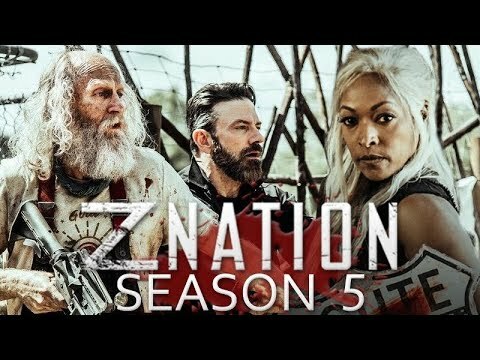 And then we go back to comic again because this is Z Nation and we can’t have a poignant and morally complicated scene for too long.